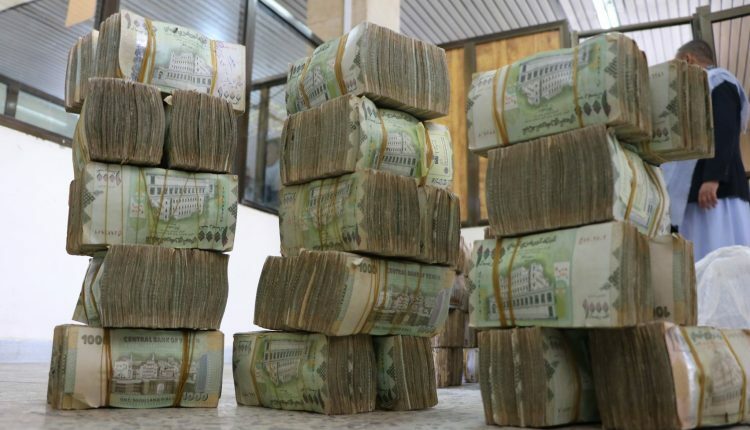 MARIB, Jan. 27 (YPA) – An overturning accident of a truck on the road between Marib and Bayda provinces has revealed about a large “money laundering” operation involving prominent officials in the government of the exiled Hadi. It was found that the truck driver was carrying out a smuggling operation for amount of 2, 610,000 dollars, equivalent to 1.5 billion Yemeni riyals, from Marib to an unknown destination. According to information, Undersecretary of the Interior Ministry in Hadi’s government along with a number of influential persons have sought to influence decision-makers in the Attorney General’s office to release the held amount pending a money-laundering case involving several Yemeni officials in Hadi’s government and Arab nationals directly and indirectly. Specialized cells and networks smuggling money and gold jewelries outside Yemen and closely linked to the influential forces are trying to release the amount, according to the information. The accident revealed a large network of officials in Hadi’s government specializing in money smuggling. The funds and jewelry smuggling network includes Yemeni officials and Arab nationals of Gulf nationalities, who use border crossings between Yemen and Oman and between Yemen and Saudi Arabia for smuggling. It is worth mentioning that the smuggling of money causes the Yemeni economy losses of millions of dollars. #BREAKING:#HAJJAH: #Yemen army destroys three military vehicles in #Hiran district.